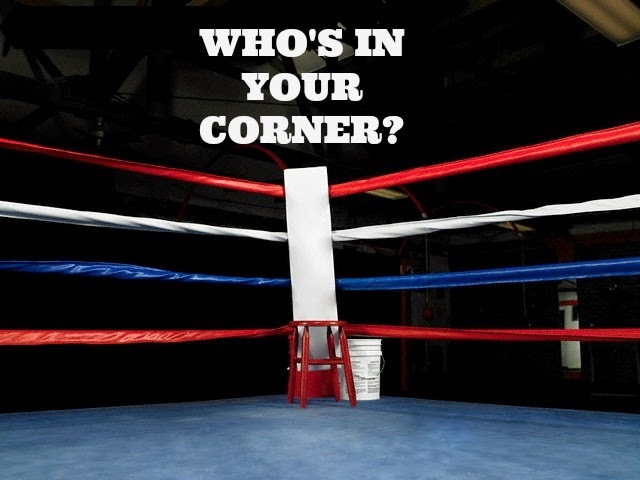 Tammy365: Who's in your Corner? We've all heard the adage. I'm not sure where it originated or how but it is true. Have you? A banker may overlook a bad credit score to loan money if he knows you. An employer will hire you over an educated, experienced person if you're a friend of a friend of a friend. People will buy from you just because of an existing relationship! Can you think of some situations where it's more important to know someone and not knowing some thing? My son-in-law is trying to break into the music business. His group has a manager and a booking agent. Sydnee and I were discussing his tour schedule and how he had to "know" someone to get into some top venues. She said "It's always better to have someone in your corner!" She's right. We always get better results when we have an advocate, someone who's pulling for us, someone who has our backs and someone who knows someone. "IT NOT WHAT YOU KNOW, IT"S WHO YOU KNOW"